It’s Not Too Late… GET ADVISED! Registration has begun! Did you remember to sign up for classes? If not, it’s not too late to GET ADVISED! Whether you’re meeting with an academic advisor, a counselor, or your faculty advisor, your session will be more helpful with a little preparation. To get the most out of your time, follow these tips. Read the CPCC catalog to learn about your program of study, required courses, and college policies. Have 3 jobs and 5 kids?! (Or even 1 job and no kids!) Give serious thought about how many classes you’ll be able to successfully manage during the upcoming semester. Map out a proposed schedule of classes. Jot down specific questions or concerns you want to discuss. With a bit of advanced planning, your advising session will lead to a successful college experience, one semester at a time. Registration is Coming! What’s Your Standing? Registration is coming, are you in GOOD STANDING? 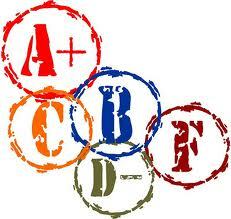 CPCC has a standard of Academic Progress where students must earn a 2.0 GPA each term. You can check out your Academic Standing by logging into MyCollege and clicking on “MyProfile” under the academic profile category. Scroll down and look at the box labeled Standards of Academic Progress. If you see Good Standing then you are good to go! If you are listed as Academic Warning or Academic Probation also look up your Academic Advisor in the box below. Find your Academic Advisor’s contact information and make an appointment to meet with your advisor ASAP, and definitely before registration begins! Remember to register early to get the best selection for the classes you want! Registration is coming… Are you ready?! If you would like help in choosing classes for next semester or have received a message that your academic status has changed then GET ADVISED is for you! Log in to MyCollege to your online profile or check out http://www.cpcc.edu/ican/contact-us/find-your-faculty-advisor to find your faculty advisor. Contact your advisor and make an appointment to GET ADVISED! Do you have more than 30 hours? If so, you can also visit the Transfer Resource Center at http://www.cpcc.edu/ican/trc to GET ADVISED! Check out GET ADVISED at http://www.cpcc.edu/ican/academic-advising/get-advised. Registration is HERE! What’s your standing? Registration is here, are you in GOOD STANDING? Check out more information at http://www.cpcc.edu/ican/get-advised. Do You Have Priority Registration? Registration begins next Friday, do you have Priority Registration? The purpose of priority registration dates is to help ensure that you can get the classes you need to graduate on time. Currently enrolled students in college level programs of study will be able to register first! Note that if you are on Academic Probation you will not be able to register for classes until the current semester grades are posted. This means that you will not be able to take advantage of priority registration. Students on Academic Warning must see their advisor to be able to register. You will receive your assigned registration date through your CPCC email account. Check your email for your registration date and plan ahead to register as soon as possible for the best course selection! Either log in to your online profile or go to http://www.cpcc.edu/ican/Advisor_assignments to find your Faculty Advisor. Contact your advisor and make an appointment to GET ADVISED! Do you have more than 30 hours? If so, you can also visit the Transfer Resource Center on the third floor of Central High to GET ADVISED! Check out GET ADVISED here: http://www.cpcc.edu/ican/get-advised . Advising Advice from the AMT: GET ADVISED! Midterm reports are sent to students who either are not fulfilling an attendance requirement, not turning in their assignments, and/or are earning low grades. The Associate in General Education (AGE/A10300) degree is being terminated, and no new students will be allowed to declare this program as of December 2013. The terminating of the AGE will not impact any student’s registration for spring, 2014, and all AGE degree students will be allowed to complete degree requirements as long as they are continuously enrolled. CPCC advisors and counselors are working with students in the AGE degree to create an educational plan. It is important that students in this degree contact Counseling & Advising Services at any campus for assistance. Please note locations www.cpcc.edu/ican/contact-us. During the registration period from now until January 16, walk-ins will be available. 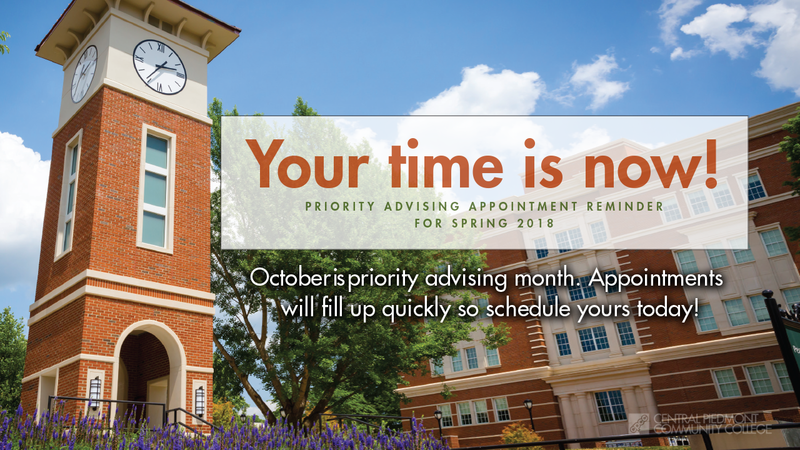 Appointments with the AGE advisor from January 17-31, 2014, are available by calling 704.330.4649 to set up a time. Any student who currently has the AGE code but does not intend to pursue the AGE degree should email ben.sparger@cpcc.edu to have it removed. Registration is happening now, are you in GOOD STANDING? Priority registration begins November 1, do you know what classes to take? If not, it’s not too late to GET ADVISED! Whether you’re meeting with an academic advisor, a counselor, or your faculty advisor, your session will be more helpful with a little preparation. To get the most out of your time, follow these tips. · Read the CPCC catalog to learn about your program of study, required courses and college policies. · Have three jobs and five kids?! (Or even one job and no kids!) Give serious thought about how many classes you’ll be able to successfully manage during the upcoming semester. · Map out a proposed schedule of classes. 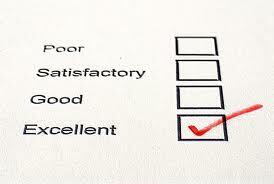 · Jot down specific questions or concerns you want to discuss. Priority registration begins Friday; do you know what classes to take? If not, it’s not too late to GET ADVISED! Whether you’re meeting with an academic advisor, a counselor, or your faculty advisor, your session will be more helpful with a little preparation. To get the most out of your time, follow these tips. Have three jobs and five kids?! (Or even one job and no kids!) Give serious thought about how many classes you’ll be able to successfully manage during the upcoming semester. Bring any paperwork or documents you’ll need (For example: transcripts from other colleges you’ve attended, placement test scores, financial aid appeals forms, past advisement sheets, etc. ).